This document was last updated September 18, 2013. PLEASE READ THIS SECTION CAREFULLY. IT AFFECTS THE WAY IN WHICH ANY CLAIM OR DISPUTE BETWEEN YOU AND REALNETWORKS IS RESOLVED. 1.1 Process. If you have a claim or dispute arising directly or indirectly out of or related to the License, the Software and Services or your use of the Software and Services that has not been resolved to your satisfaction by the customer service team at cs-escalations@realnetworks.com you agree to notify RealNetworks through the Informal Claim Resolution Process described below. 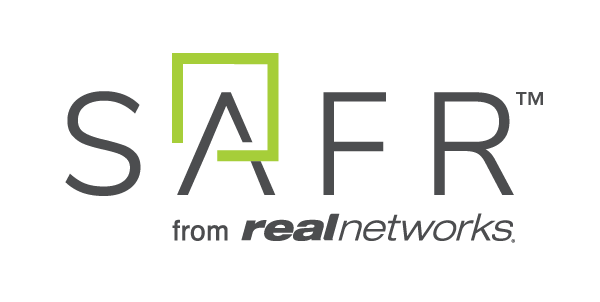 If the claim or dispute you have with RealNetworks remains unresolved after the Informal Claim Resolution Process (or if RealNetworks is unable to resolve a claim or dispute it has with you), then we both agree to resolve the claim or dispute through binding arbitration or small claims court (or its equivalent), rather than in courts of general jurisdiction, as described in the Formal Claim Resolution Process section below. 1.2 ARBITRATION. IN ARBITRATION, A CLAIM OR DISPUTE IS RESOLVED BY A NEUTRAL ARBITRATOR, RATHER THAN A JUDGE OR JURY. BOTH OF US UNDERSTAND THAT WE ARE CHOOSING TO RESOLVE ANY CLAIM OR DISPUTE THROUGH ARBITRATION, AND THE RIGHT WE MAY HAVE HAD TO LITIGATE A CLAIM OR DISPUTE IN COURT IS BEING WAIVED. 1.3 NO CLASS ACTION OR CONSOLIDATED PROCEEDINGS. ANY ARBITRATION THAT OCCURS WILL TAKE PLACE ON AN INDIVIDUAL BASIS. CLASS ARBITRATIONS, CLASS ACTION SUITS OR CONSOLIDATED PROCEEDINGS ARE NOT PERMITTED AS A WAY TO RESOLVE ANY CLAIM OR DISPUTE. 1.4 Scope. This agreement to arbitrate claims and disputes between us is intended to be broad and includes, without limitation, (i) claims or disputes relating to any aspect of our relationship, whether based in contract, tort, statute or any other legal theory, (ii) claims or disputes directly or indirectly arising from conduct or events that occurred prior to the effective date of this License (including, without limitation, claims relating to advertising), or after its termination, (iii) claims or disputes subject to class action litigation in which you are not currently a member of a certified class, and (iv) claims or disputes with any agent, employee, successor or assign of either of us (all such claims and disputes are referred to collectively as "Claims"). This agreement to arbitrate does not, however, include Claims pertaining to intellectual property rights, as described more fully in Paragraph 3.14 below. 2.1 Initiate Informal Claim. If you believe a Claim has not been resolved to your satisfaction by RealNetworks' customer service team (which can be reached by telephone Monday through Friday, 8:00 a.m. through 5:00 p.m. Pacific Time, at 1-866-420-5780 (Outside of North America call 206-674-2650), you may start the Informal Claim Resolution Process by e-mailing CS-Management@realnetworks.com to receive a Notice of Dispute form to complete and return to RealNetworks. A RealNetworks representative will then contact you and attempt to assist in the resolution of your Claim. If RealNetworks seeks to resolve a Claim it has with you, we will start the Informal Claim Resolution Process by emailing a copy of the Notice to the email address you have on file with us. 2.2 Waiting Period. Neither of us may start the Formal Claim Resolution Process until at least sixty days have passed since the Informal Claim Resolution Process was begun; provided, however, either party may seek interim injunctive relief in a case involving intellectual property, as described in Paragraph 3.14 below, at any time before or after the Informal Claim Resolution Process has begun. 3.1 Arbitration under the FAA. If a Claim is not resolved through the Informal Claim Resolution Process described above, the Claim must then be submitted to binding arbitration. This agreement to arbitrate is made pursuant to a transaction involving interstate commerce and shall be governed by the Federal Arbitration Act ("FAA"). 1-800-778-7879. An arbitration case can be initiated online at www.adr.org. 3.3 Issues for Arbitrator. All issues regarding a Claim are for the arbitrator to decide, except that any issues relating to the interpretation and enforcement of these arbitration provisions (including the interpretation and enforceability of the Class Action Waiver described below) will be decided by a court and not by an arbitrator. 3.4 Location. Unless RealNetworks and you agree otherwise, any arbitration hearings will take place in the county (or parish) of your primary residence. 3.5 Process. If your Claim is for $10,000 or less, we agree that you may choose whether the arbitration will be conducted solely on the basis of documents submitted to the arbitrator, through a telephonic hearing, or by an in-person hearing as established by the AAA Rules. If your Claim exceeds $10,000, the right to a hearing will be determined by the AAA Rules. 3.6 Fees. Except as provided below, RealNetworks will pay all AAA filing, administration, and arbitrator fees for any arbitration initiated in accordance with the Formal Claim Resolution Process (collectively, "Arbitration Fees"). However, if the arbitrator finds that either the substance of the Claim or the relief being sought is frivolous or the Claim was brought for an improper purpose (as determined under the standards set forth in Federal Rule of Civil Procedure 11(b)), then the payment of Arbitration Fees will be governed by the AAA Rules, and you will be required to reimburse RealNetworks for any amounts disbursed by it that are determined to be your obligation to pay. 3.7 Award; Costs. The arbitrator can award any remedies that could be awarded by a court of law or equity, and the award shall be final and binding on the parties and may be entered as a judgment in court. Each party will bear the cost of its own attorneys, experts, witnesses and other expenses; provided, however, that if the arbitrator finds in your favor with respect to a Claim and issues you an award that is greater than the value of RealNetworks' last written settlement offer made to you before the arbitrator was selected, then: (a) RealNetworks will pay you the greater of (i) the amount of the award or (ii) $7,500 ("Minimum Payment"); plus (b) if you have employed an attorney to assist you in the arbitration of your Claim, RealNetworks will (i) pay twice the amount of the attorney's reasonable fees (but in no event greater than $20,000), and (ii) reimburse any documented out-of-pocket expenses that the attorney reasonably accrued for investigating, preparing and pursuing the Claim in arbitration ("Attorney Payment"). If RealNetworks did not make a written offer to settle the Claim before an arbitrator was selected, you will be entitled to receive the Minimum Payment and the Attorney Payment if the arbitrator awards you any relief on your Claim. 3.8 Additional Arbitrator Decisions. The arbitrator can resolve disputes as to the payment and reimbursement of Arbitration Fees and the amount of any Minimum Payment or Attorney Payment at any time during the arbitration proceeding or upon request by either party made within 14 days after the arbitrator's ruling on the merits of the Claim. 3.9 Attorneys' Fees. The right to the Attorney Payment supplements the right to attorneys' fees you might have under applicable law. That is, if you would be entitled to a larger amount of attorneys' fees under applicable law, the Attorney Payment provision does not preclude the arbitrator from awarding you that amount; provided, however, that you may not recover duplicative awards of attorneys' fees or costs. RealNetworks will be entitled to an award of its attorneys' fees and expenses in the arbitration only if the arbitrator determines that RealNetworks would be entitled to such relief under applicable law were the Claim to have been resolved in court. 3.10 Individual Relief Only. The arbitrator may award declaratory or injunctive relief only in favor of the individual party seeking relief and only to the extent necessary to provide relief warranted by that party's individual claim. 3.11 CLASS ACTION WAIVER. YOU AND REALNETWORKS AGREE THAT EACH MAY BRING CLAIMS AGAINST THE OTHER ONLY IN YOUR OR ITS INDIVIDUAL CAPACITY, AND NOT AS A PLAINTIFF OR CLASS MEMBER FOR ANY PURPORTED CLASS OR REPRESENTATIVE PROCEEDING, INCLUDING THE GENERAL PUBLIC OR OTHER PERSONS SIMILARLY SITUATED TO YOU. FURTHER, UNLESS BOTH YOU AND REALNETWORKS AGREE OTHERWISE,THE ARBITRATOR MAY NOT CONSOLIDATE MORE THAN ONE PERSON OR ENTITY'S CLAIMS, AND MAY NOT OTHERWISE PRESIDE OVER ANY FORM OF A REPRESENTATIVE, CLASS OR CONSOLIDATED PROCEEDING. The foregoing agreements and waivers are referred to herein collectively as the "Class Action Waiver." The parties agree that the Class Action Waiver is a material term of and nonseverable from the Dispute Resolution section. If the Class Action Waiver is found to be unenforceable, then the entire Dispute Resolution section (other than Paragraphs 3.15 (Applicable Law) and 3.16 (Jurisdiction) below) shall be null and void. 3.13 No Jury; Status. No Claim submitted to arbitration may be heard by a jury, nor may a Claim be brought in the capacity of a "private attorney general." 3.13 Future Changes to License. Notwithstanding any provision in the License to the contrary, we agree that if RealNetworks makes any future material change to this Dispute Resolution section, you may reject any such change by emailing us notice within 30 days of the change to legal@realnetworks.com. If you reject any such change, you are nevertheless agreeing that you will resolve any Claim in accordance with the terms of this Dispute Resolution section as written without such change. 3.14 Intellectual Property Disputes; Small Claims Court. Notwithstanding any provision in this Dispute Resolution section to the contrary, (i) a Claim involving intellectual property rights (including, without limitation, patent rights, copyrights, trademarks, service marks or trade secrets) may only be decided by a court of competent jurisdiction within King County in the State of Washington, and (ii) if your Claim is not resolved during the Informal Claim Resolution Process, after the waiting period in Paragraph 2.2 you may pursue the Claim in small claims court or its equivalent (provided the Claim is for less than the claim limit for such court) rather than arbitrate so long as such court retains jurisdiction over the Claim and such Claim is being made solely on your behalf and not on behalf of anyone else. If the Claim is transferred or appealed to a different court at any time, RealNetworks reserves the right to elect to have the Claim resolved by arbitration as provided above. 3.15 Applicable Law. Any disputes arising directly or indirectly out of or related in any way to the License, the Software and Services or your use of the Software and Services shall be governed by the laws of the State of Washington (without regard to its choice of law rules and without regard to conflicts of laws principles) and by the FAA. 3.16 Jurisdiction. YOU AND REALNETWORKS AGREE THAT ALL ACTIONS OR PROCEEDINGS COGNIZABLE IN COURT IN ACCORDANCE WITH THE TERMS OF THIS DISPUTE RESOLUTION SECTION THAT ARISE DIRECTLY OR INDIRECTLY OUT OF OR RELATED TO THE LICENSE, THE MATERIALS, SERVICES OR SOFTWARE OR YOUR USE OF THE MATERIALS, SERVICES OR SOFTWARE SHALL TAKE PLACE IN THE STATE AND FEDERAL COURTS OF KING COUNTY IN THE STATE OF WASHINGTON. EACH PARTY HEREBY EXPRESSLY SUBMITS AND CONSENTS IN ADVANCE TO SUCH JURISDICTION AND WAIVES ANY CLAIM THAT THESE COURTS ARE AN INCONVENIENT OR IMPROPER FORUM. ALL ACTIONS OR PROCEEDINGS SEEKING TO COMPEL COMPLIANCE WITH THE TERMS OF THE DISPUTE RESOLUTION SECTION, INCLUDING ACTIONS SEEKING TO STAY PROCEEDINGS PENDING RESOLUTION OF CLAIMS IN ACCORDANCE WITH THE ARBITRATION AND OTHER REQUIREMENTS OF SAID SECTIONS, AND THE CONFIRMATION, MODIFICATION OR VACATION OF ANY AWARD, SHALL BE SUBJECT TO THE FOREGOING JURISDICTION PROVISIONS. 3.17 No Preclusive Effect. No award or finding or stipulation of fact by the arbitrator will have any preclusive or collateral estoppel effect in any other arbitration or court, unless it involves the exact same parties. 3.18 Severability. With the exception of Paragraph 3.11 (Class Action Waiver) above, if any part of this arbitration provision is deemed to be invalid, unenforceable or illegal, then the balance of this arbitration provision shall remain in effect and shall be construed in accordance with its terms as if the invalid, unenforceable or illegal provision were not contained herein. Copyright ©2013 RealNetworks, Inc. All rights reserved.